Barking Dog Media - Welcome! 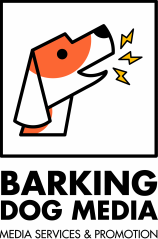 Barking Dog Media provides a range of media services to help you promote, market and represent you or your organisation, club or business in public. Our experienced and friendly team of journalists, designers, photographers and PR professionals are here to help you maximise your exposure across a range of platforms, from print to Instagram. We can keep your clients in touch with bright, informative e-newsletters and social media posts or design the perfect printed product. And we can present your prestigious awards ceremony with professional experience and promote it to gain maximum exposure for your organisation. Barking Dog Media’s tailor-made packages and competitive pricing structure means we’ll be able to help you achieve your ambitions – whatever your budget.